The Indianapolis Colts' top-10 scoring defense thrived this year, mostly due to its zone coverage. The Colts ran a zone defense at the highest rate of any team in the NFL this season. 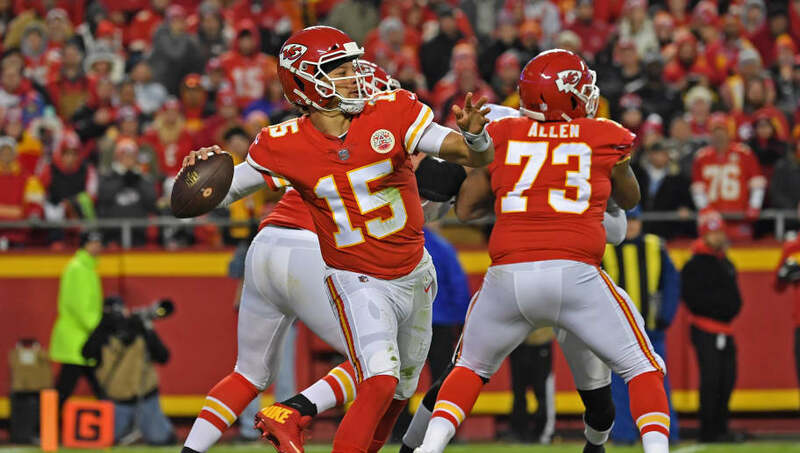 While doing so successfully limited their opponents during the regular season, relying on zone coverage against Chiefs QB Patrick Mahomes could be their downfall in the ​Divisional Round matchup on Saturday. Mahomes has been absolutely unstoppable against teams that heavily utilize zone coverage, completing 64.1 percent of his passes with a perfect 14-to-0 touchdown-to-interception ratio. #Colts run zone coverage at highest rate in the league.#Chiefs QB Patrick Mahomes played 5 games vs teams that run zone at top-8 frequencies this season, completing 64.1% of his passes at 7.99 yards per attempt with a perfect 14:0 TD-to-INT ratio against them. It's not exactly a death knell for the Colts' chances, but things are looking pretty bleak for their defense based on that stat alone. Plus, Indianapolis is the underdog, with an ​opening line of six points. The line was down to five points by mid-week, according to ​FanDuel Sportsbook. ​Mahomes has clearly been at his best this year when facing zone coverage and, win or lose, he should be in for a pretty ​big fantasy day in the Divisional Round against Indy.